Unlike other touring series, where the circuit comes to town and local race fans watch many unfamiliar names stage a race on the track they are familiar with, but the drivers aren’t so familiar was the norm, until along came the ASA Midwest Tour. Tim Olson and Steve Einhaus revived the idea of bringing a field of Touring Stars to a local race track to compete against the local stars that race fans are used to seeing running at the front every week. 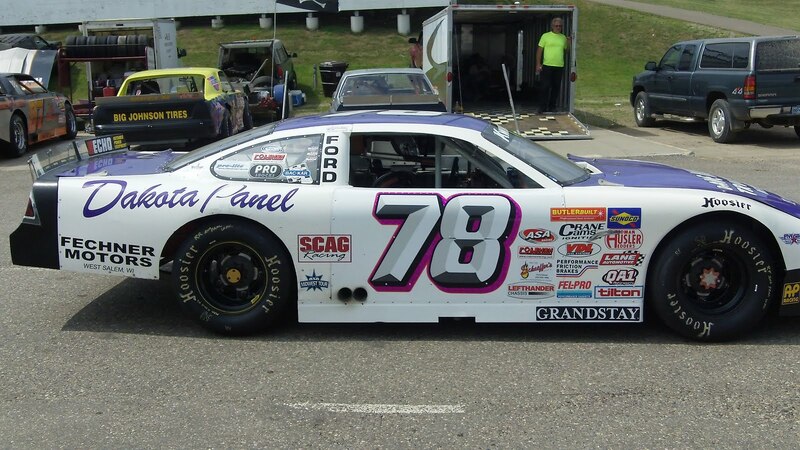 This concept was highly successful in the former ARTGO series, but got lost along the way as NASCAR took over the series and made several changes, which resulted in a touring series that visited local tracks with little chance to see local drivers compete in front of their hometown fans. In the first few years of the ASA Midwest Tour, the local drivers gave a good effort, but frequently lost the race to the touring drivers. This year has definitely not fit into that mold. In the first seven races, there have been five different drivers taking the checkered flag. 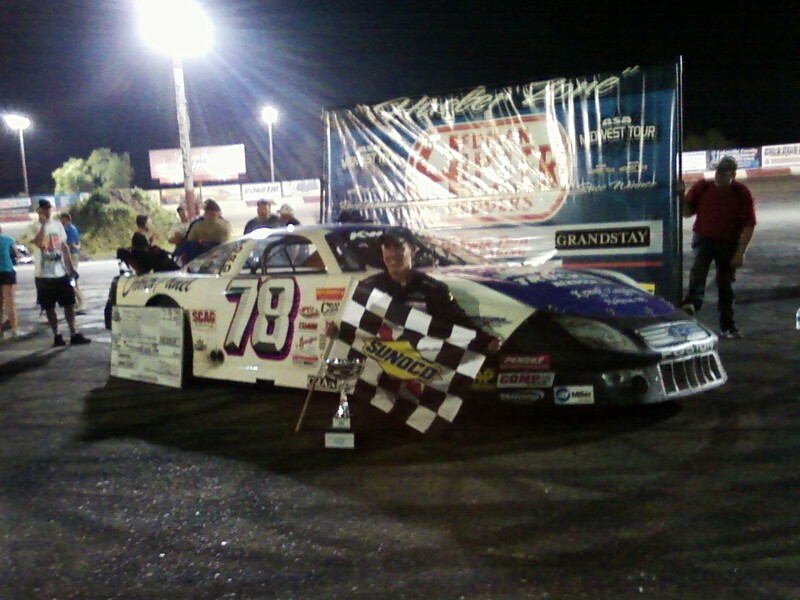 Ross Kenseth, after a strong season last year, leads in the win column with three victories. 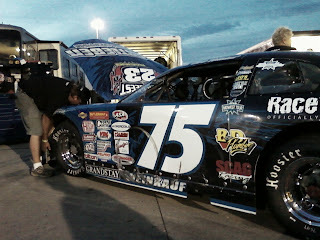 Touring Star Tim Schendel has one win and Rookie Sklyer Holzhausen (photo below) has one win. However, the real eye openers have been Jason Weinkauf and Mark Mackesy. They do not compete against many of these drivers on a regular basis, but they had the advantage over the touring series drivers as they used their expertise on their own turf and showed that the local driver can win against the visitors. I may add that these visitors include many track championships and touring series championships throughout the Midwest making them very strong competition and virtually all of them have a chance to win at every race. This fact is backed up by a very unique, but overlooked statistic that at most races the entire field qualifies within .5 seconds from top to bottom. Yes, that’s one-half of a second from the fastest to the slowest. This goes to show that the local drivers experience on the familiar track allows them to mix it up with the touring drivers who have to quickly adapt to a new track. Ross Kenseth (photo above) has the obvious blood lines of a racer, being the son of NASCAR star Matt Kenseth, but the young driver has been proving that he’s the real deal as his three wins having him leading in the win column, but not in the point standings as Andrew Morrissey, another of the young guns of the ASA Midwest Tour, leads in the points with several runner-up finishes and is set to win in any of the final few races of the year. Jacob Goede has recorded a couple of ASA Midwest Tour wins in the last few years, but he too has been snake bit in the hunt to the checkered flag, but sits inside the top five in the standings. Veteran driver Tim Schendel has one win and tons of experience, but sits fourth in points and needs to click off a couple a wins to give him a chance at the Championship. Young gun Nick Murgic rounds out the top five in points and would not surprise anyone if he won at least one of the remaining races. Former Champions Nathan Haseleu and Steve Carlson along with frontrunners Chris Wimmer and Jonathan Eilen are also surprisingly lacking Victory Lane appearances this year and sit surprising lower than expected in the point standings. Jason Weinkauf and Mark Mackesy may have surprised the Touring drivers, but the chance for the local driver to win over the wealth of talent and experience has made something that race fans can get behind. Prior to the start of the season, officials from the ASA Midwest Tour billed 2011 as “The Best Season Yet”. At first I chalked that up to promotional hype, but the stark reality is that so far the 2011 season is living up to its billing and with a handful of key races remaining, the race to the Championship should be just as exciting. Dean Reller and Jason Searcy have over 40 years combined experienced in motorsports. They host the weekly program Speed Talk on 1360 every Saturday morning from 10-11 AM on KRWC AM 1360. 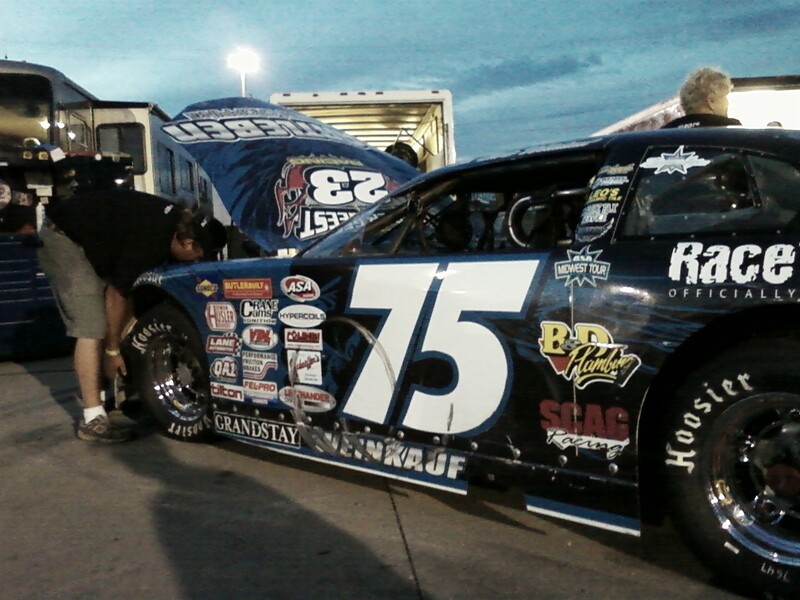 The program covers NASCAR and devotes a good portion to local and regional racing as well. 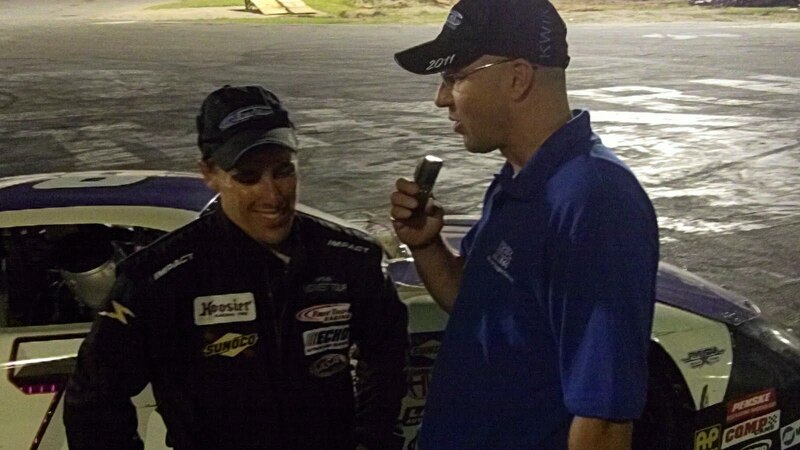 Rookie driver Skyler Holzhausen (photo below with Jason Searcy) won the ASA Midwest tour Grandstay Summer Clash 250 lap race at Elko Speedway (MN) on Saturday night. He took home the trophy and $10,000 in prize money, this is his first win of his ASA Midwest tour career. Holzhausen passed point leader Andrew Morrissey with a bump and run move with fifty laps to go, "we got into him a little bit, I feel bad for that, it was just tight racing in lapped traffic," said Skyler after the race. The first 125 lap segment of the race saw numerous spins and many cars suffering overheating problems. Morrissey dominated the first half of the race up front but because of the cautions didnt put any car a lap down until the 116th lap of the race. Holzhausen spent most of the race near the front, but it wasn't easy. He had to maneuver through traffic and nearly spun out mid-race after catching a tire on the apron coming out of corner number two. The second segment of the race saw 100 consecutive green flag conditions and only one caution with 25 laps to go. "I'm glad," said Holzhausen, "this was a long-run car, the longer we ran the faster we got and the more consistent we stayed." Skyler sang the National Anthem for the crowd on Friday night and it seemed to be good luck for him, when asked if he will do that again he said "I think maybe I should, I will if they need me to!" 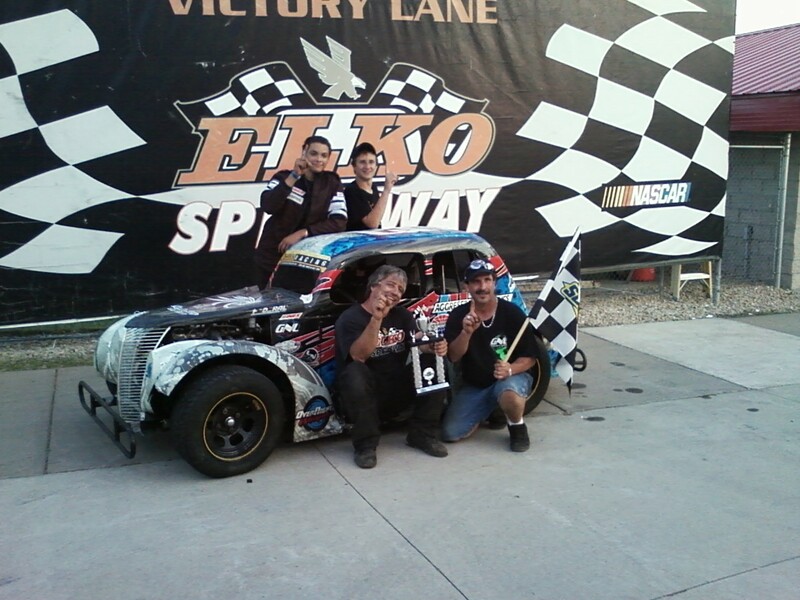 Skyler's father Steve won an ASA Midwest tour race at Elko Speedway in 2009 and won a bar of gold. 2011 three time ASA Midwest tour winner Ross Kenseth had a tough night, he started 7th row inside and struggled with overheating problems (photo above), he pitted early in the first segment and never made up the track position, finishing 11th. Minnesota drivers qualified great, taking 5 of the top 6 positions. 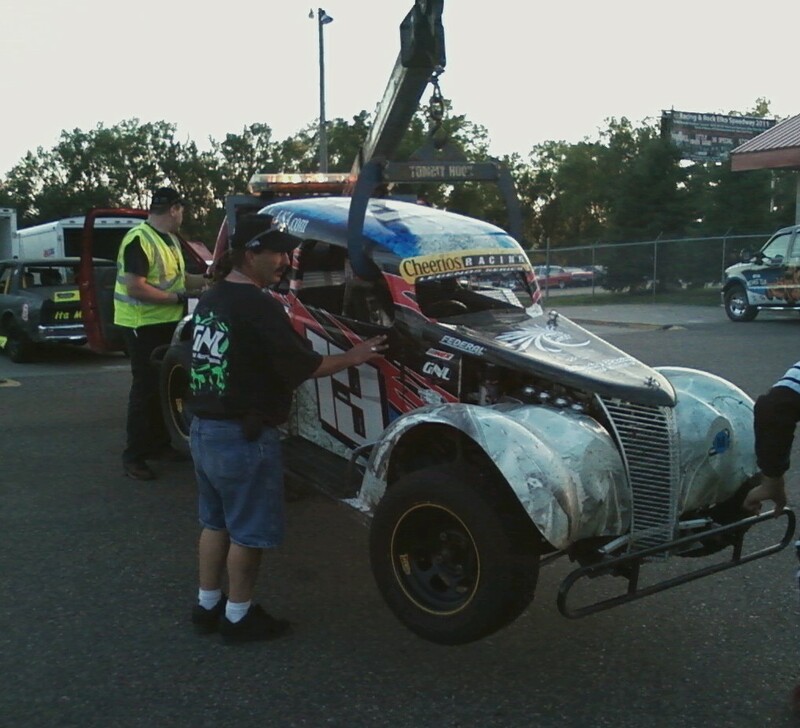 They didnt race quite as well, the top Minnesota finisher was Nick Murgic in 5th followed by Danny Fredrickson in 6th. Chris Weinkauf won "fast time" in qualifying with a lap of 13.745, but finished one lap down in 16th position. 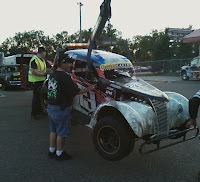 Friday night "dash for cash" winner Tim Schendel had mechanical problems and did not finish the race. 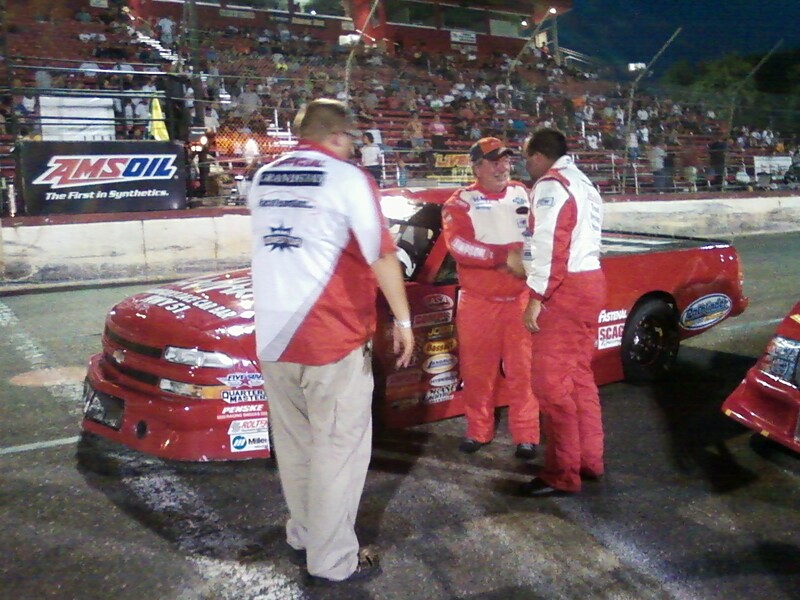 Jerry Wood won the ASA Midwest Truck series race, just edging local hero Andy Jirek (photo above). ASA Midwest tour day one results from Elko Speedway (MN). Carlson, Schendel, Morrissey,S Holtshausen, Jorgenson, C Wimmer, R Kenseth, Panitzke,T Sauter, Haseleu. #21 Tim Schendel, #77 Jonathan Eilen, #41 Donny Reuvers, #87 Nathan Haseleu, #36 Danny Fredrickson. 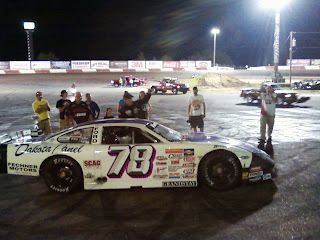 Qualifying race results; #97 Steve Holtshausen, #64 Griffin McGrath, #2 Michael Bilderback, #17 Josh Vadnais. Last Chance race will be held on Saturday. 27 cars are entered, so I believe everyone will make the show on Saturday night. 250 laps with a break at 125 to change tires. Racing begins at 6pm. ASA Midwest Sportsman & ASA Midwest trucks will be racing as well. 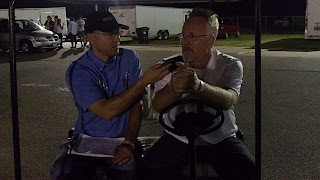 Jason and Dean from "Speedtalk on 1360" will broadcast interviews with numerous drivers during the radio show 10-11am Saturday July 9th on http://www.krwc1360.com/ and KRWC 1360am radio. ASA Midwest tour president Tim Olson will be on the show along with drivers: Nick Panitzke, Tim Schendel, Andrew Morrissey, Chris Wimmer, Jonathan Eilen, Donny Reuvers and Erik Darnell. Also Great North Legends winner Tim Brockhouse will be on the show, his car burst into flames during his post race burnout and his car was towed to victory lane! Minnesota race fans are excited, the ASA Midwest tour is finally back in our home state on Friday and Saturday July 8th & 9th in Elko (MN). 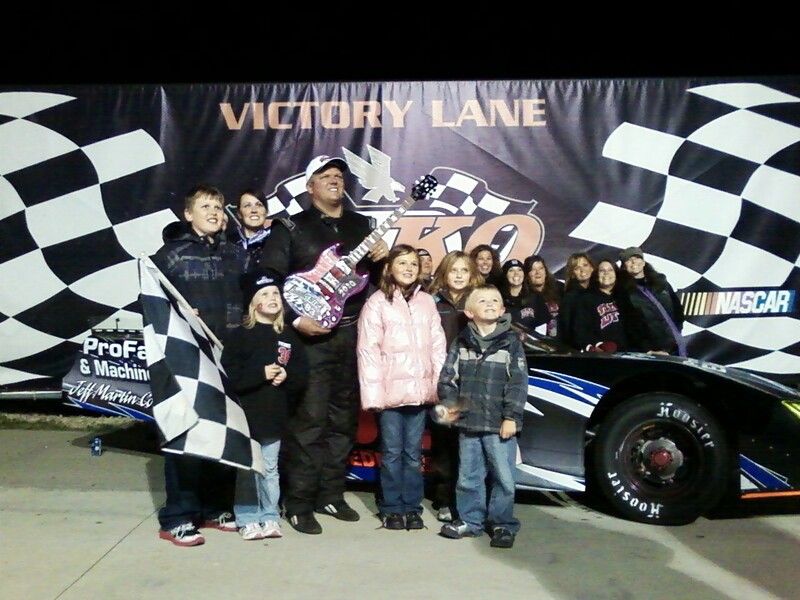 In the past few years, Elko Speedway has hosted an ASA Midwest tour event in April or May. 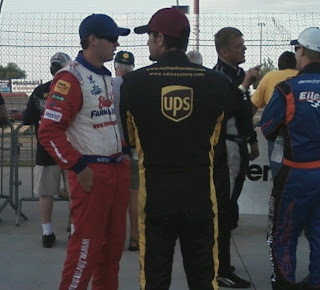 Now this year its the 7th race of the 2011 13 race schedule. Racing begins at 7pm on Friday and at 6pm on Saturday night. Matt Kenseth's 18yr old son Ross (photo above) has had a great season thus far, he has 3 wins (Illiana, Grundy & Madison) but finished a season low 14th in last weekends race in Marshfield (WI). Ross is the "Real Deal," sure he has top-notch equipment, but he is patient and smart behind the wheel, he drives like a veteran at the age of 18. 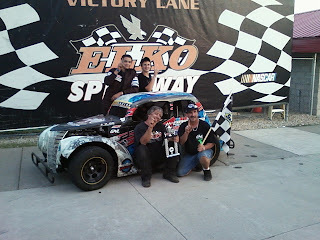 He also won the Elko race in 2010, battling with Chris Wimmer most of the race. Ross is currently second in points, 18 behind Andrew Morrissey who is winless but is ultra consistent this year. Minnesota driver Jacob Goede (photo above) is 4th in points thus far. Goede ran up through the field at Illiana passing cars left and right and finishing third. He has been in the "top 5" three times this year. 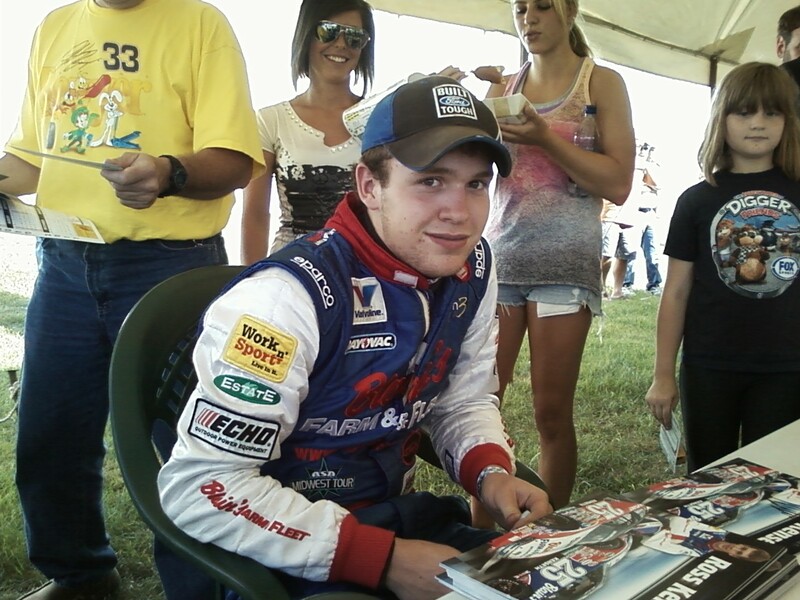 Jacob finished third in this race in 2010. 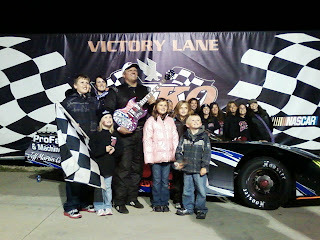 He won an ASA Midwest tour race at I-94 Raceway in Sauk Centre (MN) back in 2007. Matt Goede just won his first Super Late Model feature two weeks ago at Elko Speedway with Jacob turning wrenches for his brother in the pits. 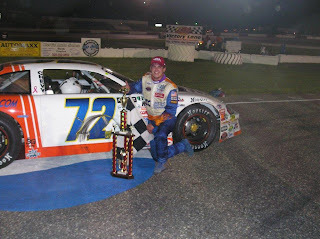 Danny Fredrickson (photo above) has won as many Super Late Model races at Elko Speedway as anyone, he win this event in 2009 and took home a bar of gold. 2008 tour champion Fredrickson is not running the full ASA Midwest tour schedule this year giving him even more track time at Elko Speedway adding motivation to this intense competitor. 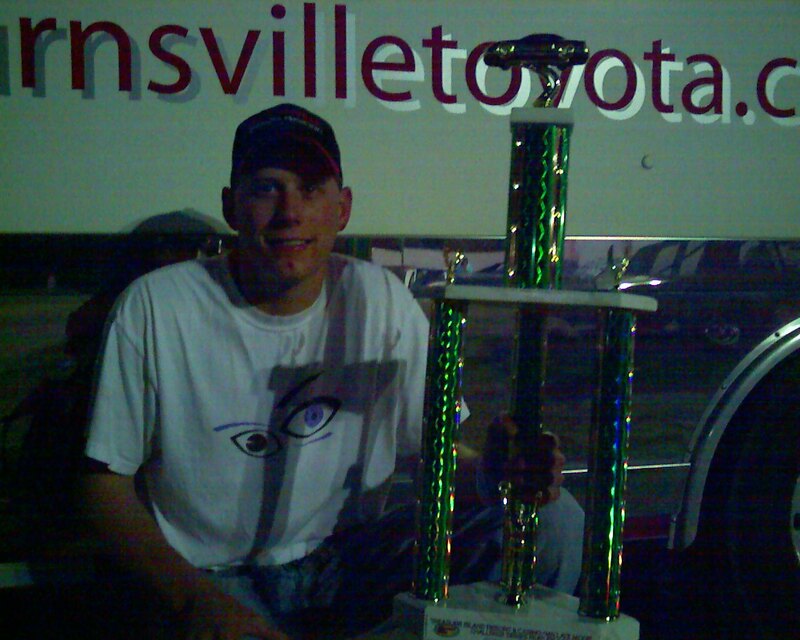 Six time Elko Champion Donny Reuvers (photo above) is also in the field, he is not racing the full ASA Midwest tour schedule this year, he is racing Elko full-time, he is the current point leader at Elko Speedway in 2011. Tim Schendel is quietly having a great season, he is currently 3rd in points and won a race at Kaukauna earlier this year. Schendel is also racing part-time in the NASCAR Nationwide series and is the class favorite when the ASA Midwest tour travels to Iowa Speedway on Friday August 5th. MN driver Jonathan Eilen won this race in 2007, you can't count him out at Elko Speedway. 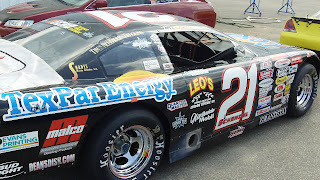 Former NASCAR Truck series star Erik Darnell will also be in the hunt for a win at Elko. For Minnesota fans, this is your opportunity to see Ross Kenseth one of the few true rising stars before he makes his move to the NASCAR schedule. In the last dozen years or so I've seen ASA races in Minnesota with: Kyle Busch, Reed Sorenson, David Stremme and Joey Logano. 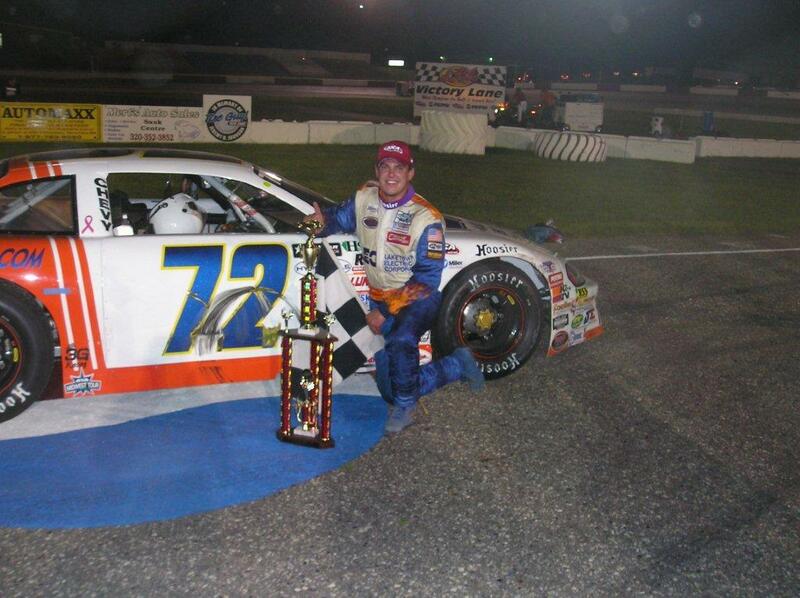 This guy might be just as good as any of those drivers, but he will have to prove it at Elko Speedway this weekend. This is an endurance 8 tire, 250 lap event for the Super Late Models sponsored by Grandstay, they will have an intermission at half-way and change tires. The ASA Midwest Trucks and Sportsmen will also be racing feature events on Saturday night. We also will be doing some youtube video's with race hi-lights and interviews with the winners. Stay tuned to www.speedtalkon1360.com for more details.